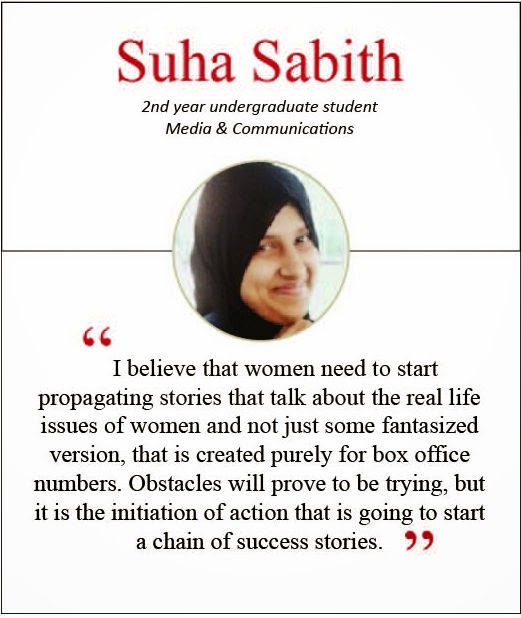 The School of Media & Communication organized a panel discussion to understand the role of women in media on 29th October 2014. The session aimed to raise awareness, discuss issues, provoke debate and action in response to the way in which women are represented in the mainstream media. 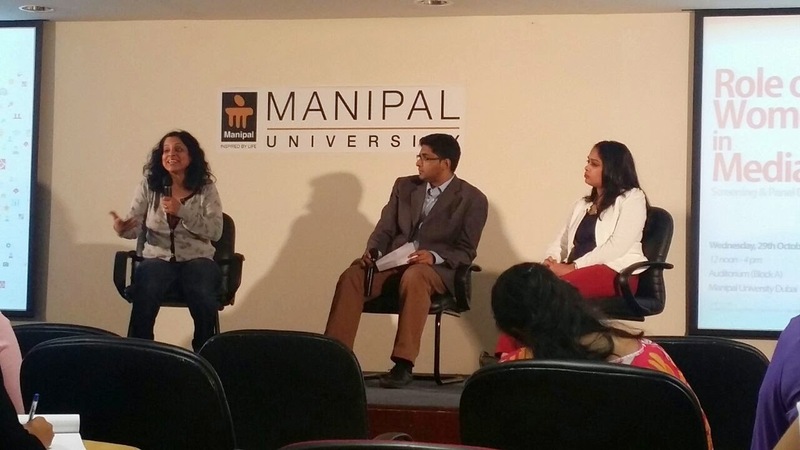 The panel included local online journalist and active feminist Ms. Jerusha Sequeira and independent filmmaker Ms. Sonia Filinto who highlighted the pervasive and persuasive role that media plays in society. And that media has the power to construct and deconstruct our identities and as a consequence the way we represent gender matters. Both Ms. Sequeira and Ms. Filinto discussed and highlighted how women are represented positively and negatively in the media, challenges faced by women in the media and agenda setting by media professionals. The event also screened award winning American documentary film, ‘Miss Representation’ written, directed, and produced by Jennifer Siebel Newsom in 2011. The documentary provided context and better understanding of how women are portrayed in the media. Watching the documentary helped students learn that the lack of representation and the incorrect or stereotypical representation of women in the media discourages girls and women to reaching their full potential. 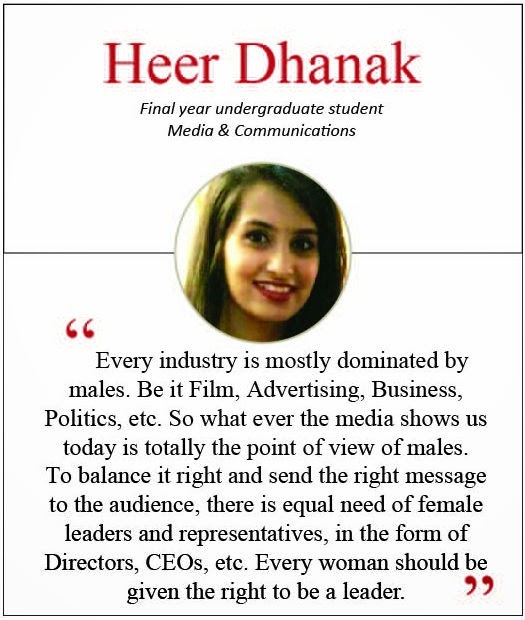 And that it is a huge problem, that girls are not able to truly view themselves as leaders and politicians, because the media rarely portrays women of power as the ‘norm’. 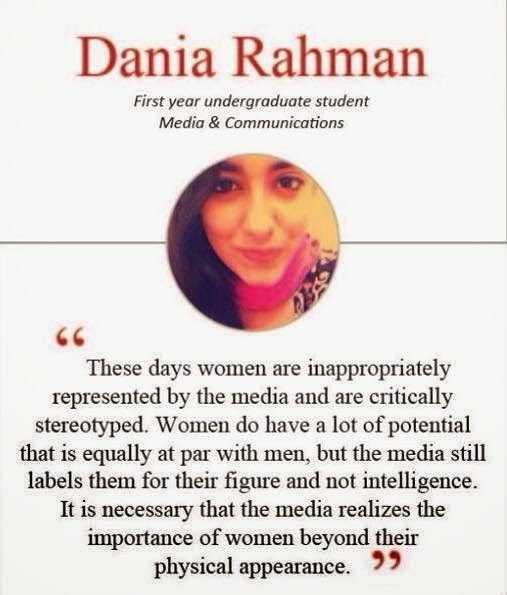 "Misrepresentation of Women in the Media"